The first chapter organized was Eureka Chapter No. 8, at Galveston, Texas organized June 15th 1876, companion E.H.R. 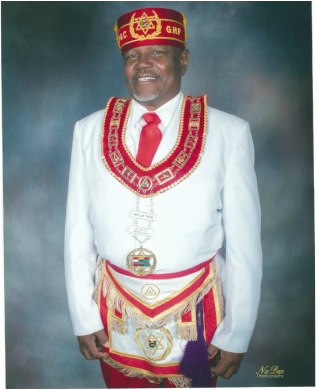 Glives was commissioned by Charles C. Johnson, Grand High Priest of the District of Columbia to set the chapter to work. Second chapter was organized at Dallas, Texas, known as Zerubbabel Chapter No. 9, organized May 18th 1880, this chapter was organized by Grand High Priest J. Booker Hutchings and Chartered by the District of Columbia. Third chapter was organized at Houston, Texas known as Prince Hall Chapter No. 10, at Houston, Texas organized March 2nd 1883, organized by John H. Burrill, Grand High Priest of the District of Columbia, and chartered by the same authority. ​These three chapters organized the Grand Chapter for Texas, by a call convention for that purpose March 14th 1883, therefore, the Grand Chapter of Texas was duly constitutionally organized in the year 1883 at Houston, Texas.